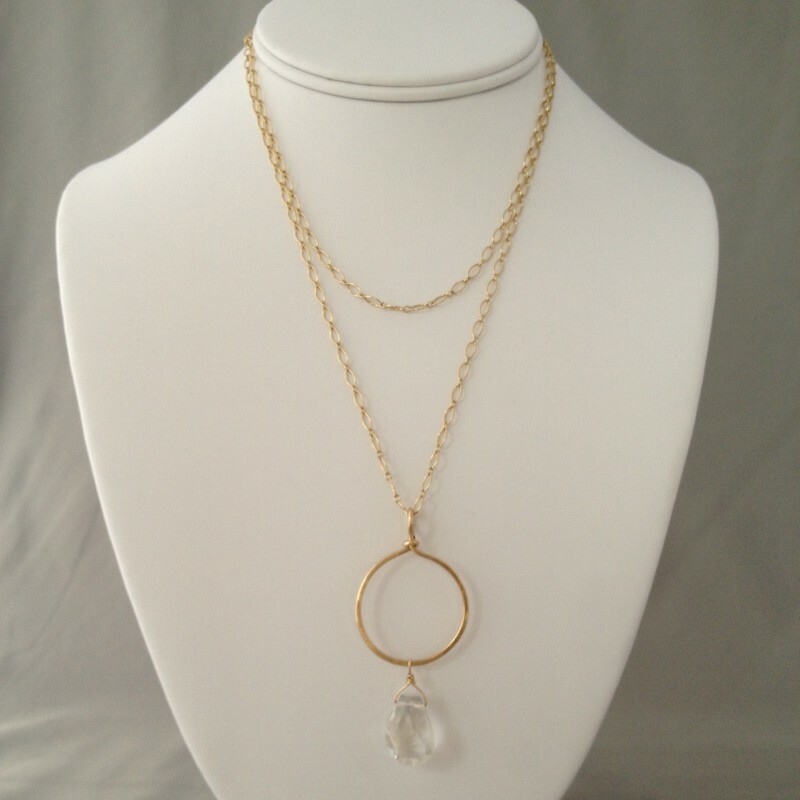 14k gold filled necklace with a large hoop pendant and a large crystal briolette is versatile and easy to wear. 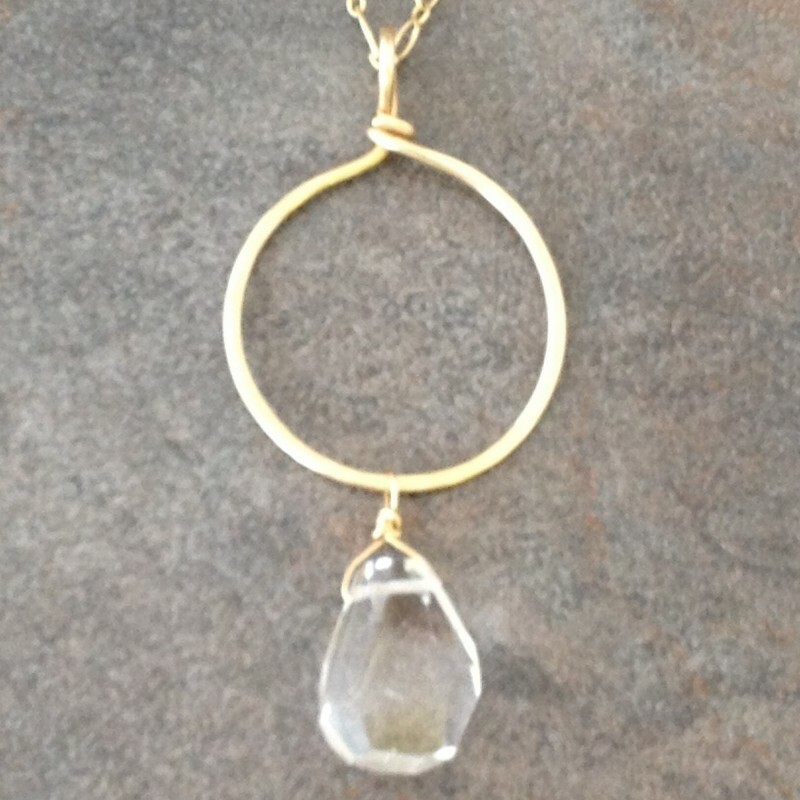 14k gold filled hoop is hand crafted and hammered for strength and texture and dangles from a gold filled chain. 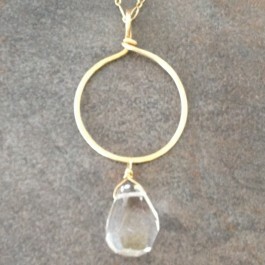 A large natural crystal quartz sways from the hoop. 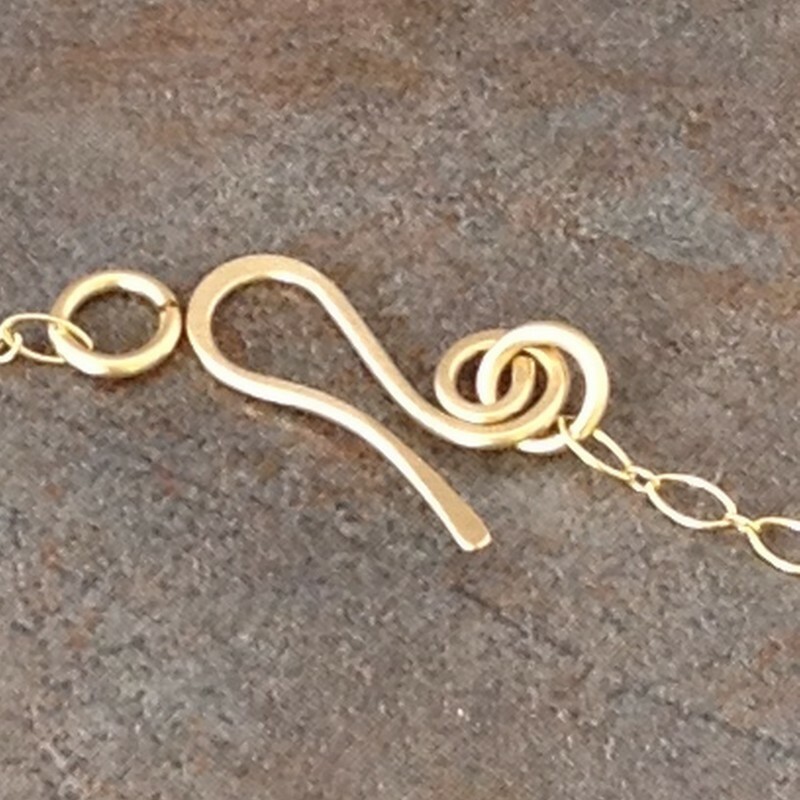 This long necklace is versatile and elegant and is for every season. 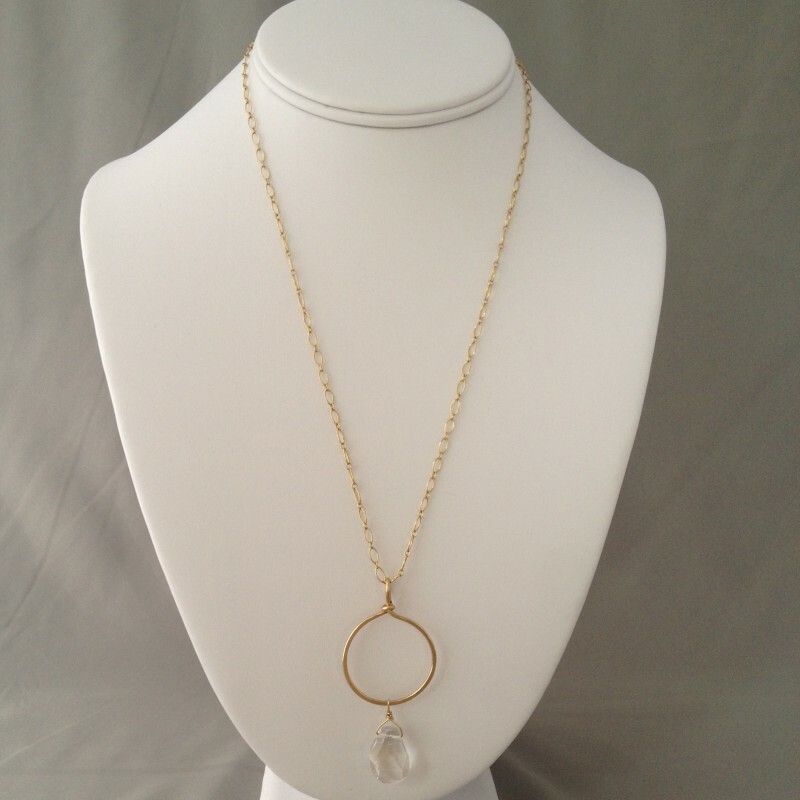 the chain is long enough to wrap twice around the neck for a layered look. The circle is about 1" in diameter. Chain is about 33 1/4" long, including a hand made clasp.